Going for a weekend excursion means bringing a lot with you at times. Sure there is plenty of room in the back of your Wrangler Unlimited JK but if you have more people coming with you that means more equipment coming too. 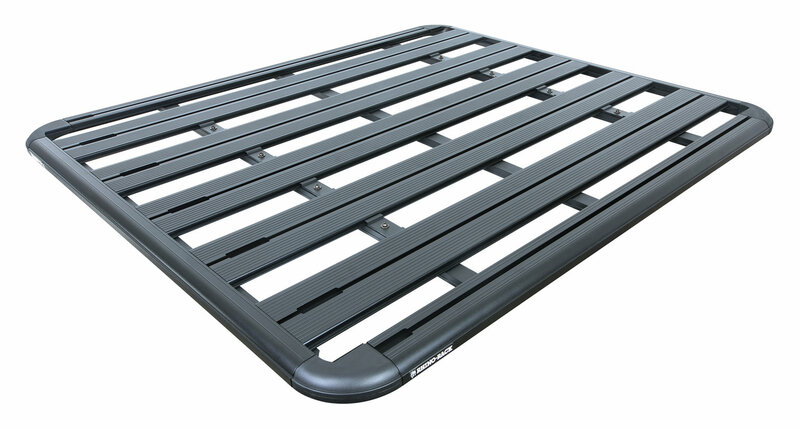 The Pioneer Platform from Rhino Rack gives you an extra 60"x54" of space on top of your JK to carry all your needs for whatever you plan on doing on your trip. 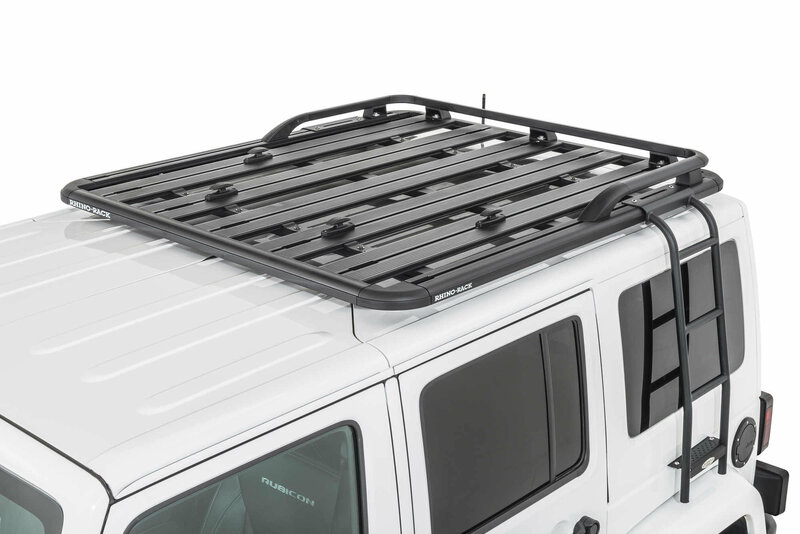 The low profile design is made for better aerodynamics resulting in low wind noise, while the rack itself is made of strong lightweight reinforced nylon and aluminum to stand up to the outside elements. Another benefit of this racks design is the ability to load and unload your equipment by simply sliding it on or off the rack then strapping it down & be on your way. Image shown with optional Full Rail Kit installed. Lightweight Reinforced Nylon & Aluminum: Non-corrosive black powder coated durable aluminum that is tested to stand up to the harshest conditions. Flat Design: Allows you to access your equipment from all sides of your Jeep. Low profile to reduce wind drag and road noises. 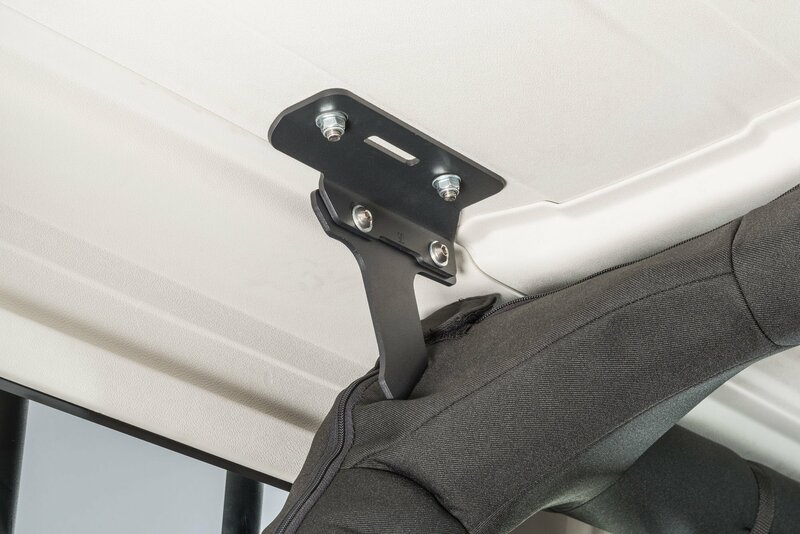 Load Bearing Brackets: These heavy duty brackets transfer your cargo weight onto the roll bars of your JK giving you a load rating of 580lbs(static load); 300lbs(dynamic load) allowing you to carry more items for your off road adventures.